All aboard the Walt Disney World Railroad! The Walt Disney World Railroad will take you on a grand circle tour around the perimeter of Magic Kingdom. With three stops at Main Street, Frontierland, and Fantasyland, the train is sometimes a good way to get from spot to spot in the park and circumvent crowds. 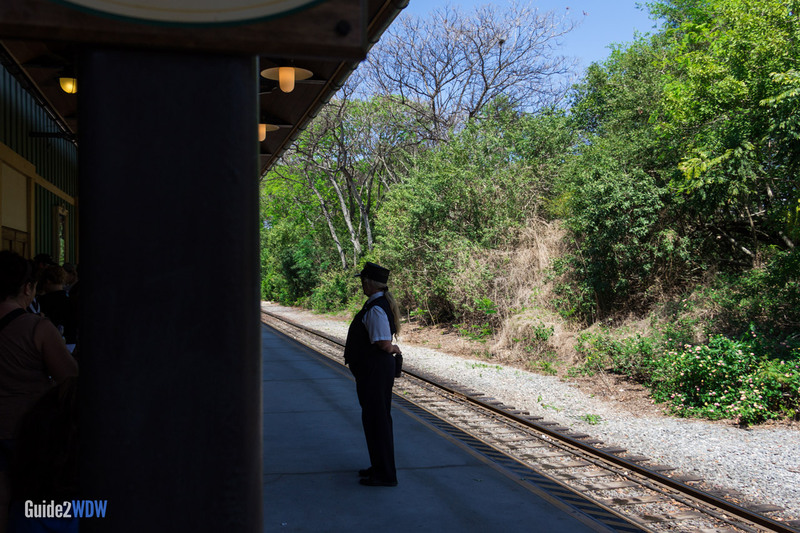 However, there is more to this train-ride than practical transportation. The Walt Disney World Railroad offers guests unique views of the park, from a quaint Native American Village along the Rivers of America to an overhead view of the steamboat finale of Splash Mountain. The railroad is a great way to relax and experience the spirit of Magic Kingdom. The Walt Disney World Railroad follows the perimeter of Magic Kingdom and is 1.5 miles long. 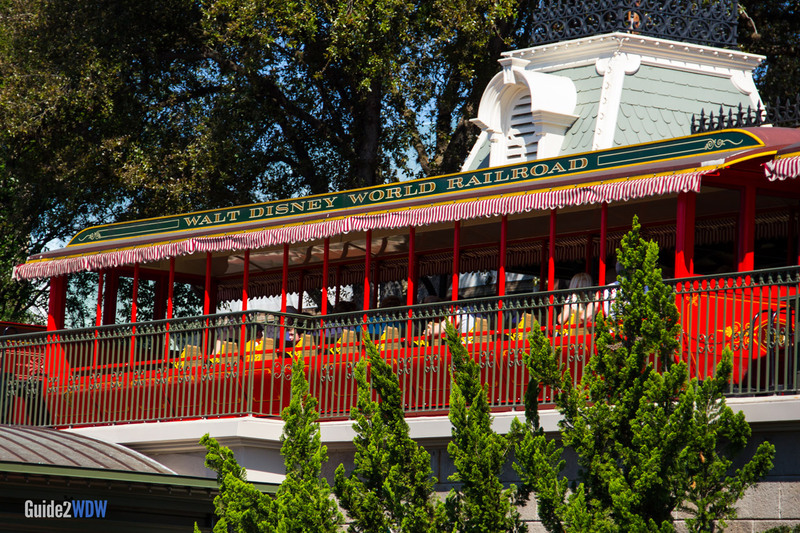 There are many small nods to Walt’s love of trains sprinkled throughout the park. 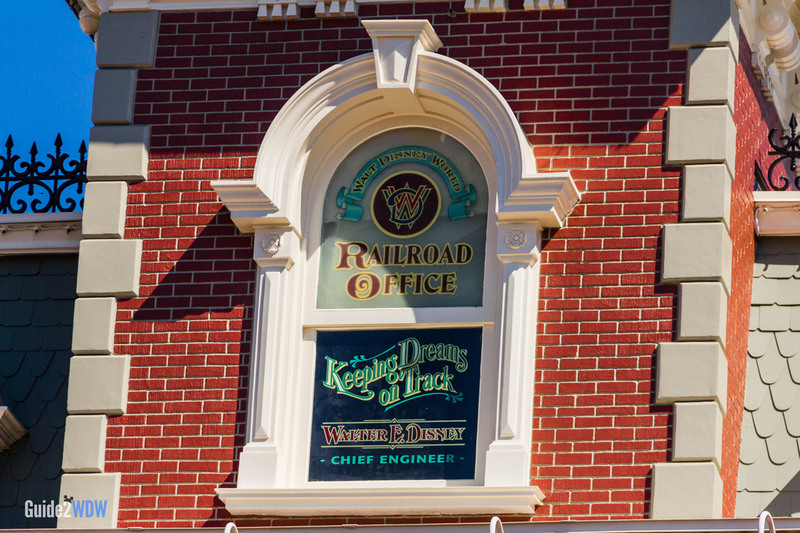 Walt’s name is on the window of the offices of the Main Street Train Station. 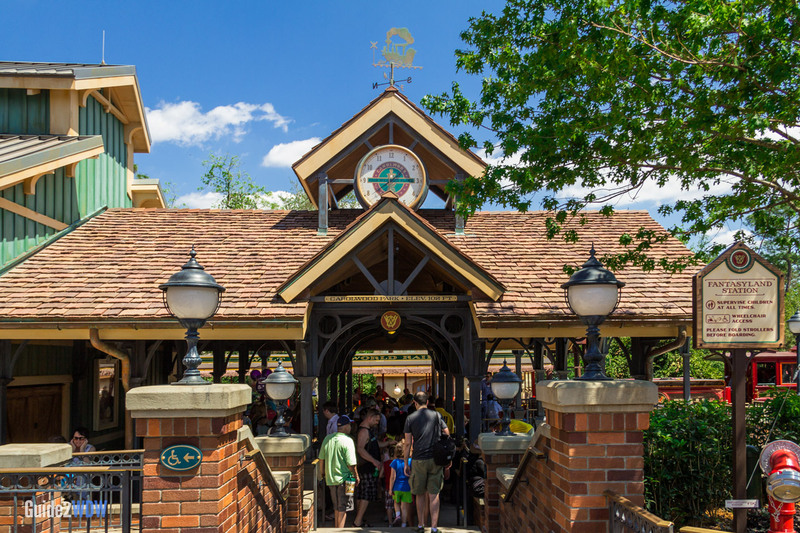 The Fantasyland Station includes a sign that says “Carolwood Pacific Railroad,” which is the name of Walt’s steam railroad that he had in his backyard. The Villas at the Wilderness Lodge has a mini-museum dedicated to Walt Disney’s love of railroads. They will sometimes stop running the train during the parade. Be sure not to get in line during these times, unless you want to wait 30 minutes to an hour to ride the train.